Welcome back to the William Raveis Real Estate blog space. We are excited to be able to continue to share with you what sets us apart as Stowe realtors. Whether you are looking to buy or sell a Stowe, VT house, we offer a tradition of excellence and attention to detail we believe is unmatched in our market. We offer expert regional knowledge coupled with our commitment to taking the time to understand our clients’ unique needs to bring about the best experience a Stowe real estate agency can offer. In today’s post, we wanted to answer a simple question: “Why should I choose William Raveis to help me sell my Stowe house?” While we certainly could be accused of having a slight bias on the matter, there is myriad ways we set apart from the competition, with each of them pointing to a tangible benefit our clients can experience for themselves. Keep reading to learn more. Coverage – If you are looking to sell your Stowe home, you’ll be pleased to learn that our network of well over 4,000 sales associates in 9 states affords us the ability to operate locally and regionally. What’s more, our marketing programs and website reach over 50 million people nationwide and an estimated 100 million people through our partners worldwide! Suffice it to say, if there is someone looking to buy a Stowe home, there is a strong chance William Raveis Real Estate can find them, or vice versa. Community – While our reach is wide, we haven’t forgotten our roots. We continue to be an independent and family-owned real estate firm that is operated by homegrown agents. We make a point to make a positive impact in each community we serve. Credibility – Since our founding in 1974, we’ve delivered over $9 billion in sales for our clients. It’s for reasons like this that we can state our position as being one of the top family-owned real estate companies in the entirety of the Northeastern United States. Candor – It’s not just who we say we are — it’s how we treat our clients on a daily basis. Honesty, integrity, and straightforward communication are the framework for our operations. We do our best to bring a breath of fresh air to the world of real estate. Courtesy – The final “C” stands for courtesy. Throughout the course of your time working with our Stowe real estate agency, you’ll be treated with courtesy, dignity, and respect. That’s all we have time for in today’s post, but, as you can imagine, we are just beginning to scratch the surface regarding how we can help you sell or buy a Stowe home. And remember, if you are of the former persuasion and are looking to sell your Stowe home; your home gets the most attention when it’s first listed on the market. It’s imperative to have a comprehensive strategy in place before you take this all-important first step. Don’t leave it to chance. Leave it to the experts. 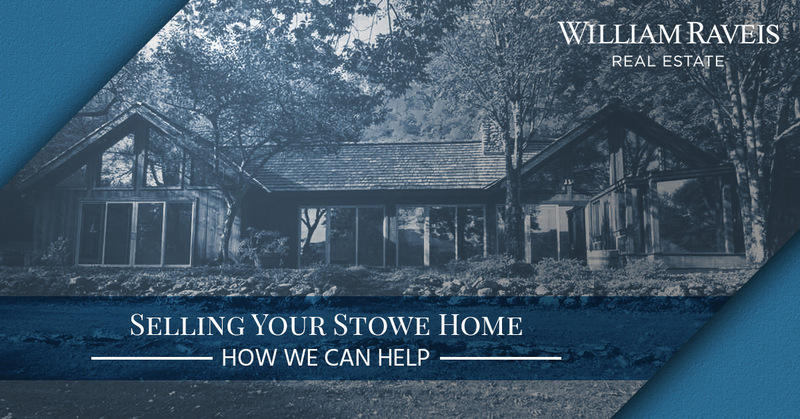 Contact us today to speak with a Stowe realtor.